Billy Graham died last week at age 99. He first emerged on the national stage at age 30, at his 8-week Los Angeles Crusade, telling his audience that “this city of wickedness and sin” had a choice between revival and renewal—or judgment. The Los Angeles Times reported that “6,000 souls came forward, weeping forgiveness for their sins.” He preached in person to over 100 million people. He publicly proclaimed the gospel to more people than anyone in history. Graham became known as “America’s Pastor”, making the 1950-1990 Gallup Poll’s “Most Admired” list more often than any other American. What fueled Billy Graham’s passion for proclaiming Jesus Christ? In his 2011 article entitled ‘Billy Graham and Charles Templeton: The Sad Tale of Two Evangelists’, Michael Patton, President of Credo House Ministries, gives us the answer to this question as “faith seeking understanding”. The following are excerpts from his article, which he describes as “one of the saddest encounters two people have ever had – a breach in a friendship as one left Christ, never to come back, and the other went on to change the world. Dr. Patton explains: “There does come a time in our life when we “decide” to believe. It is not as if our intellect is no longer in the game, it is simply that there is a sufficient amount of evidence to make a commitment. Graham had enough. He is right, there is no way faith can wait until every stone is overturned. None of us will ever get to a place where our intellect has no objections whatsoever. At some point in our journey, we decide that God is real, the Bible is trustworthy, and Christ is who He said He was. Templeton never truly reached a point where he was intellectually convicted of the truthfulness of Christianity, what the reformers called assensus, which is the conviction we have in our minds. Assent of the mind is vital to our faith. Graham had enough assensus to make a decision. He was not going to be an eternal ‘tire-kicker’ with regard to Christianity. Sure, he could have waited, like Templeton, until every possible objection to the faith was answered, but we can never have all our questions answered. At some point there must be a sufficiency in probability. Our verse this week from the book of Acts can be used to describe the life of Reverend Billy Graham, which centered on fulfilling the purpose for which God created Him. And which was revealed to him through the simple decision to trust wholeheartedly in Jesus Christ as the substance of his faith. 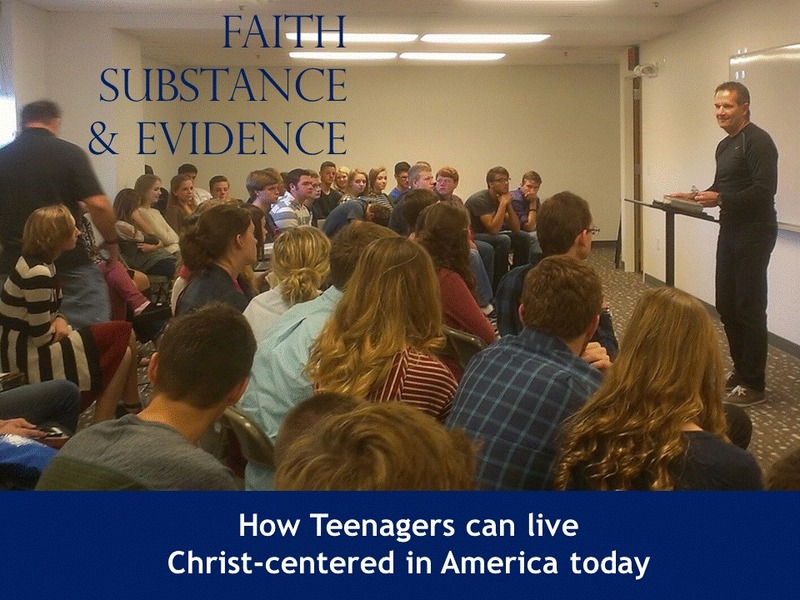 The focus of our ministry here at ‘Faith, Substance and Evidence” is the same. 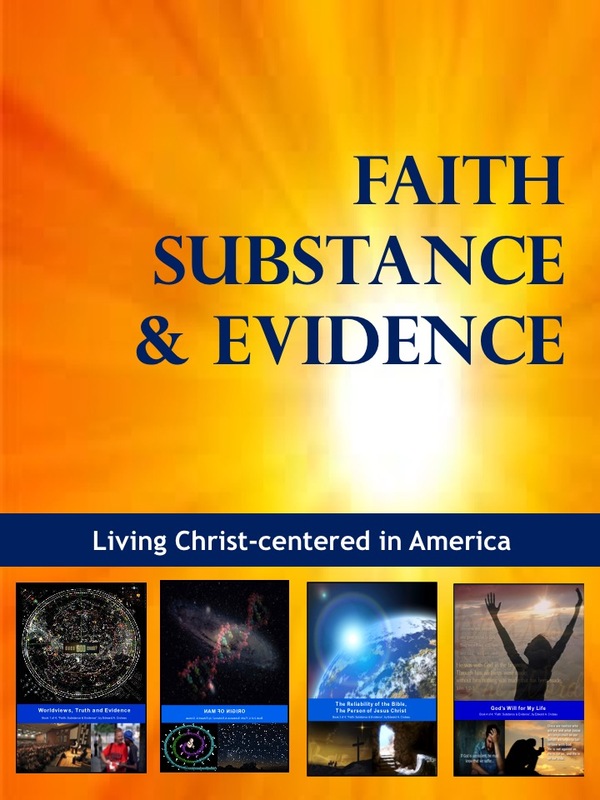 As Hebrews 11:1 says, “Faith is the substance of things hoped for, the evidence of things not seen.” The word ‘substance’ means what is under you, that you stand upon – or your “understanding.” The word ‘evidence’ means those convincing proofs hat lead to conviction. Our substance is the Person of Jesus Christ and His achievement on the Cross. Our evidence is what confirms Him. Billy Graham decided to use his mind and trust in Christ.